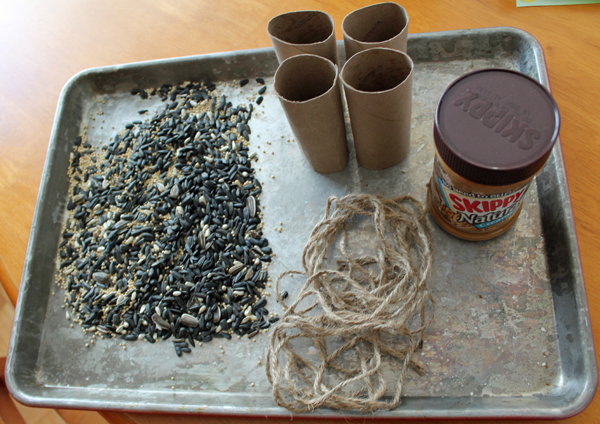 Toilet paper rolls, peanut butter, bird seed, and string or ribbon. 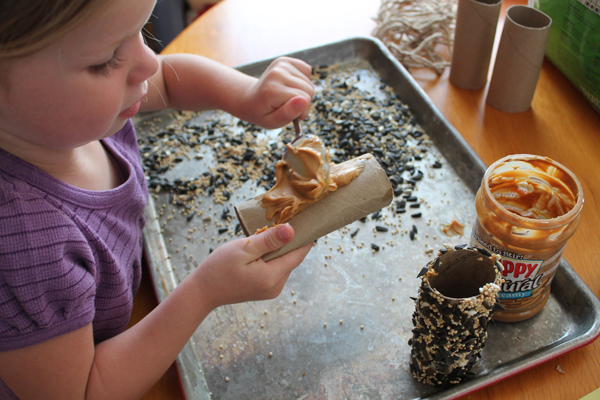 Spread the peanut butter on the toilet paper rolls. 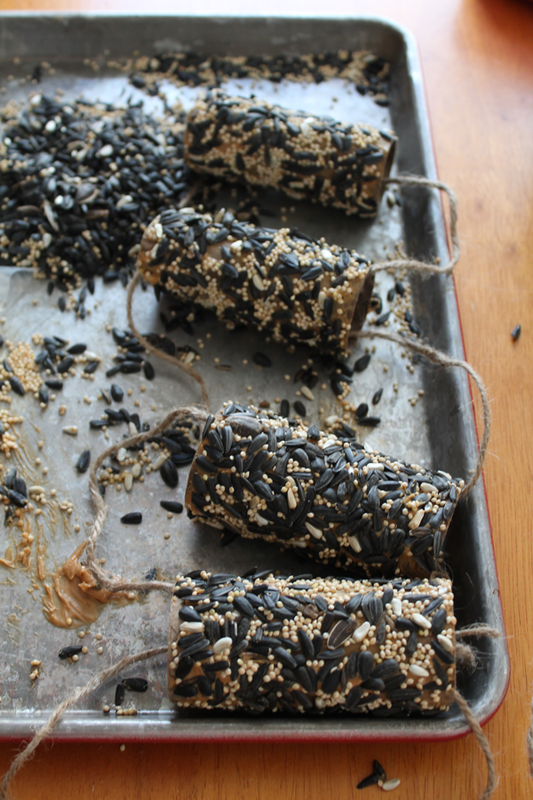 Roll the toilet paper rolls in bird seed. 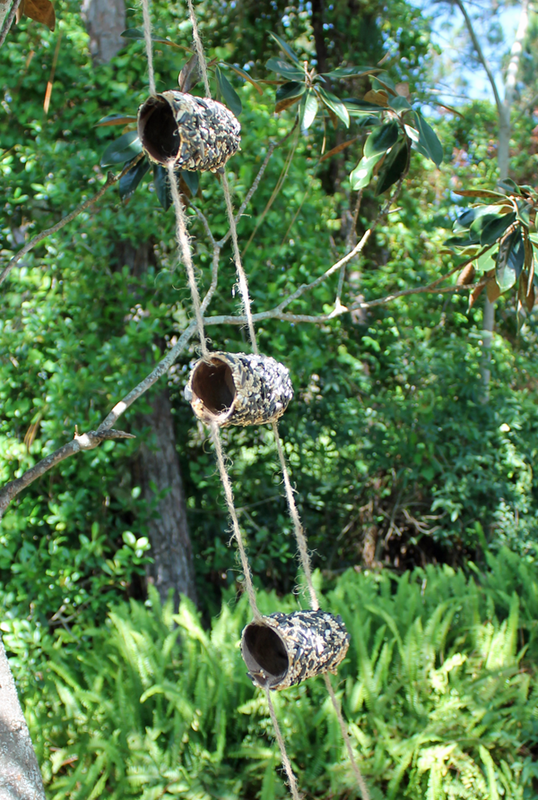 Tie together with string or ribbon (We used jute). 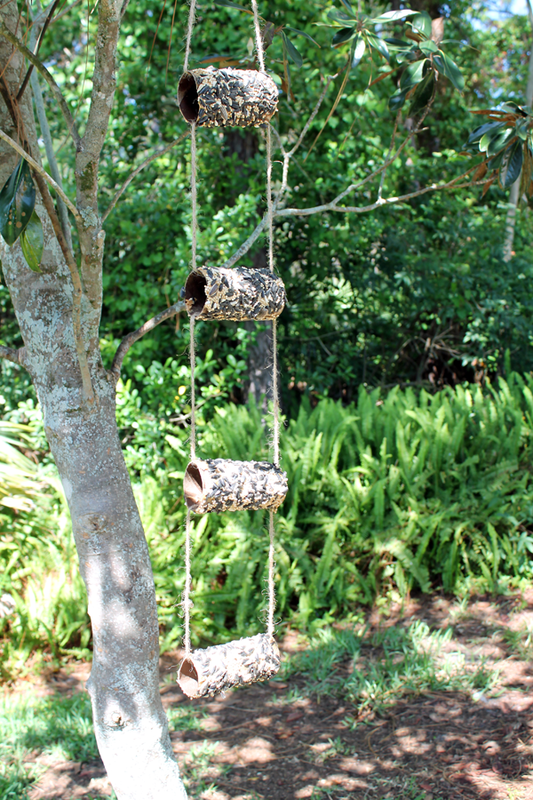 We hung our bird feeder on the magnolia tree in the back yard. We are planning on bird watching in the morning before breakfast. 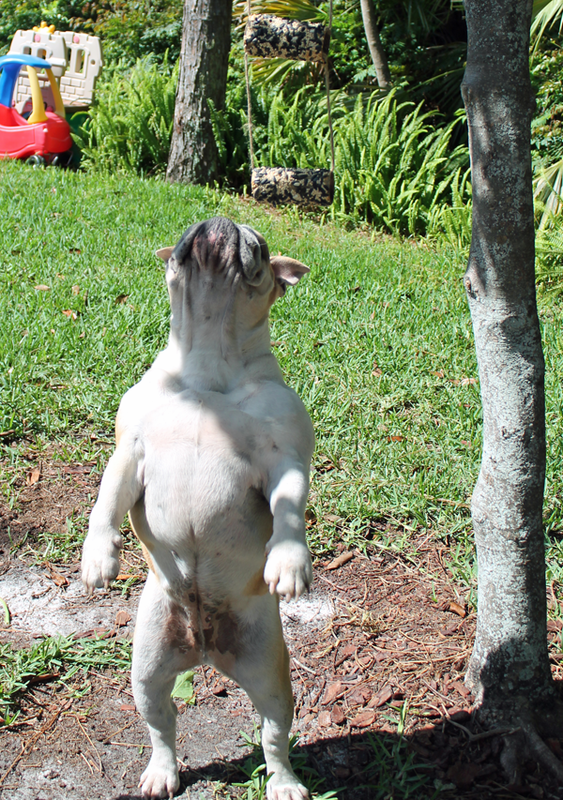 Next > May News in the Florida Garden! That is TOO cute! I’m gonna see if Lil’ Guy wants to make some of those tomorrow. 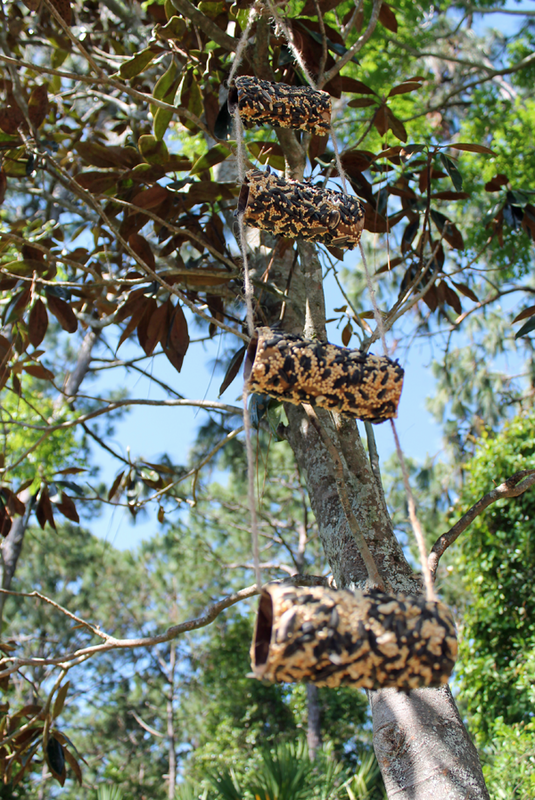 We have several types of birds nesting nearby. Thanks! 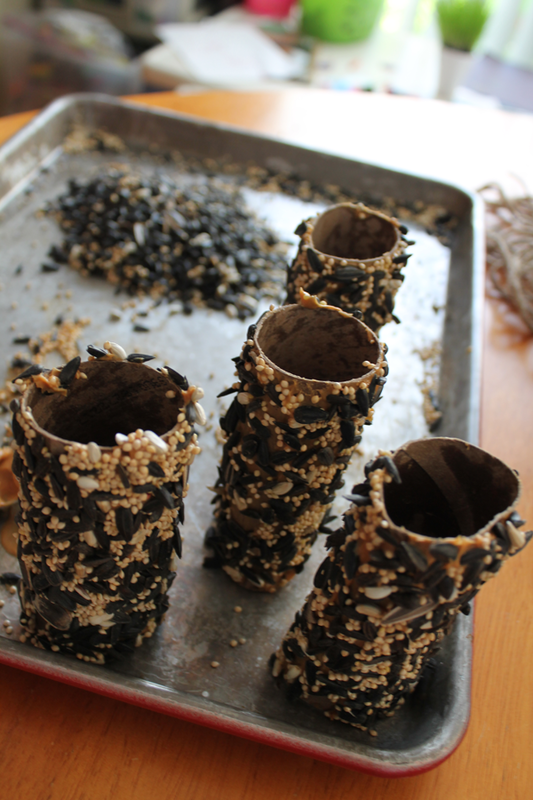 Thanks for linking up your project to the Upcycled Linky Party at http://love2upcycle.blogspot.com/2013/05/upcycled-linky-party-7.html I know I have more TP rolls than I know what to do with, this is an excellent option this time of year.